We’d agree. If you want to become an effective leader in the cleaning industry, you can’t stop learning. It doesn’t matter if you work as a janitor, custodial manager, distributor sales representative or in the research and development for an industry supplier. The minute we stop learning, we stop evolving. This week, we’re holding our (OS1) Coach class, which is a professional development program that helps coaches and trainers using the (OS1) to plan their training schedule, and design, budget and operate a world-class training program. It got us thinking about professional development opportunities and how important it is to our careers. Studies show that organizations that invest in professional development opportunities for their employees are often higher performing. According to the Talent Development’s 2014 State of the Industry Report, organizations spend an average of $1208 per employee on training and development. This number increases for companies with fewer than 500 workers, amounting to an average of $1,888 per employee. 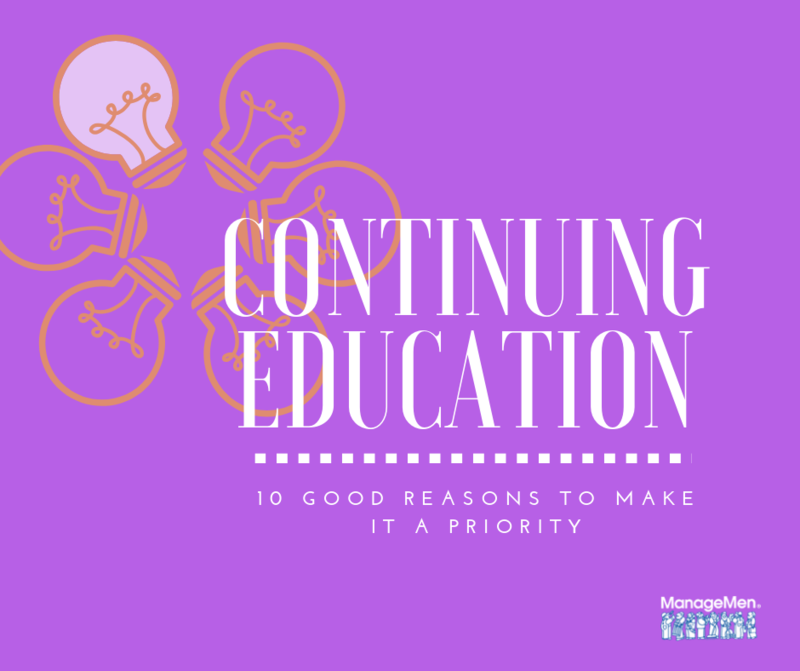 While your company might have specific requirements for what constitutes a reimbursable professional development course, we shouldn’t dismiss educational opportunities outside of the industry. For example, a course on customer service or management will likely provide you with ideas to improve these areas in your organization. And while there’s nothing wrong with distributor-led training in most cases, that’s not what we’re talking about here. 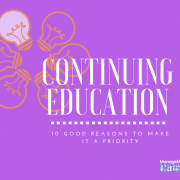 Whether or not your organization supports your professional development, here is a list of the top 10 reasons why you should look into set continuing education goals for yourself, if you haven’t already. It can give you new skills. While this is one of the more obvious reasons, it’s often taken for granted. Technology is continually changing the way we live and work; we can always learn new skills and processes to become better leaders or improve the way we do things. It helps push you out of your comfort zone. When was the last time you walked into a room where you knew no one? What about the last time you did something you’ve never done before? If you’re not pushing yourself out of your comfort zone, you might be missing out on great opportunities. You can refresh your knowledge. When you first started working in the custodial department, maybe you earned a certification or attended classes. But after awhile, if you’re not actively using it, a lot of that knowledge—pH scale, anyone?—could use a refresher. It helps you stay on the top of your game. Maybe you’re not the type of person who is regularly reading the latest business book, but if you’re relying on a sales person to be your source of what’s new, you may want to rethink that strategy. It gives you confidence. As the adage goes, knowledge is power. When you learn something new, it gives you information you can share with others and makes you feel better about yourself. You can meet new people and expand your network. Recently I enrolled in an online educational course and I was amazed by the number of people across the world who were also looking to become better communicators. Some of these people don’t live far from me, and we’ll likely meet up at some point. It can help you better protect workers and building occupants. Better cleaning programs make for healthier indoor environments. When you and your staff use best practices for cleaning, everyone wins. You’ll better position yourself for professional advancements. Go-getters are the ones move up. Keep a file of your ongoing education and successes so you can share them when it’s your time to take the stage. It’s invigorating! If work is starting to feel a little monotonous, attending a professional development class can help re-energize you and your staff. It can also help provide new ideas and offer a new perspective on your business. It sets a good example for others on your team. When you take the time to expand your knowledge, it helps encourage others to pursue similar opportunities. This ultimately benefits the entire organization. Applying Maslow’s Hierarchy of Needs to a Cleaning Operation Why Are Chemical Handling Accidents Still Happening?